Home ▸ Points ▸ Latest Round of Credit Card Applications? Latest Round of Credit Card Applications? I tried to hold out, but just couldn’t help myself. After my last round of credit card applications, I figured I was (largely) done applying for rewards cards for the next two years. During that 2 year wait, I thought I could sneak in a few business rewards card applications, as they currently don’t count towards Chase’s restrictive 5/24 rule. Past that though, I wasn’t expecting to take the plunge into new plastic infiltrating my wallet. That commitment lasted all of 3.5 months, as the lure of more points and options got the best of me, and I took the application plunge. 1. 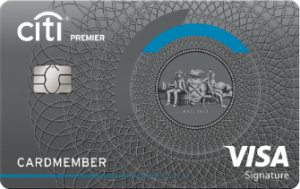 American Express Platinum Card for Schwab (annual fee $550) – this is a card that I thought would never be in my wallet. 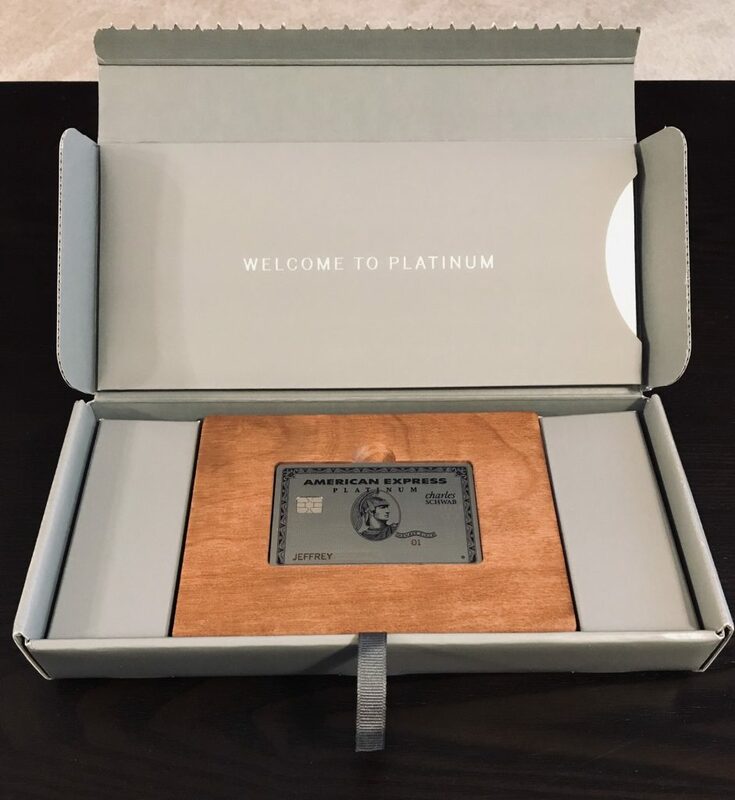 On several occasions in the past few years, I’d look at the card’s sign-up bonus of 60,000 membership rewards (that never seems to fluctuate) and the benefits that are nearly the same as the business Platinum, but for a higher annual fee (than the business Platinum). The annual fee on the Business Platinum is now higher, at $595, than this card, but for years I didn’t really think seriously applying for it. However, American Express Membership Rewards are my new favorite points currency. They aren’t the best, at least in my opinion, but they are my new favorite, and are quite useful for a variety of redemptions. This card is also useful because it allows cardholders the ability to transfer points to an existing Schwab account at 1.25 cents per point. From there you could basically do what you’d like with that money, including invest it in some form through Schwab, which is what I would hope to do. I currently have the Business Platinum card from American Express too, and understand paying over $1,000 to have both of these cards. As another negative, the benefits overlap too, as another Priority Pass is basically useless for me, as is the Global Entry/TSA Pre fee credit. The $200 airline credit will come in handy and compliment that which I get for the Business Platinum card, but the real draw for me is improving my standing and relationship with Schwab. In short, the benefits for me outweigh the annual fees. Result: Pending status. Called into Amex reconsideration and verified my information and was approved same day. The card even comes in a nice wooden package. For $550 a year, it probably should! Access to purchase tickets to thousands of events annually, including presale tickets and VIP packages to concerts, sporting events, dining experiences, plus complimentary movie screenings and more via Citi Private Pass. Most of my enticement for this card came through the sign-up bonus and option to transfer points to airline partners, although the 3x on gas is nice, and the 2x on “entertainment” could possibly be very beneficial. I’m also interested in using Thank You rewards at 1.25 cents per point towards travel via Citi’s Thank You Travel Center. The Citi Private Pass benefit does have some outside appeal for me, as it could be an interesting perk, but one that I’ve never pursued yet with similar offers through other bank rewards programs. At the end of the first year, I’ll likely transition into another one of Citibank’s credit card products from this card, keeping my account open and continuing to age the account. Result: Pending status. Called into Citi reconsideration and verified my information and was approved same day. 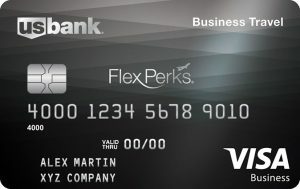 The card comes with a 25,000 point bonus (worth $375 in travel credit) after spending $2,000 in 3 months. Padding my Flexperks balance is a worthwhile effort expenditure for me. The annual fee for the card is $55, but after spending $24,000 on the card in a year, that annual fee is credited back to the cardholder. So for some spend with intent, this card will be free to use, and won’t be reported to credit bureaus. Flexperks point redemptions for travel are at 1.5 cents per point, and I use them frequently for cheap domestic and international flights. Booking interesting hotels in more obscure (or lesser known) foreign cities without hotel chain options is also an interest. I have come to really enjoy the U.S. Bank travel portal for flight bookings and have enjoyed redeeming points for travel. 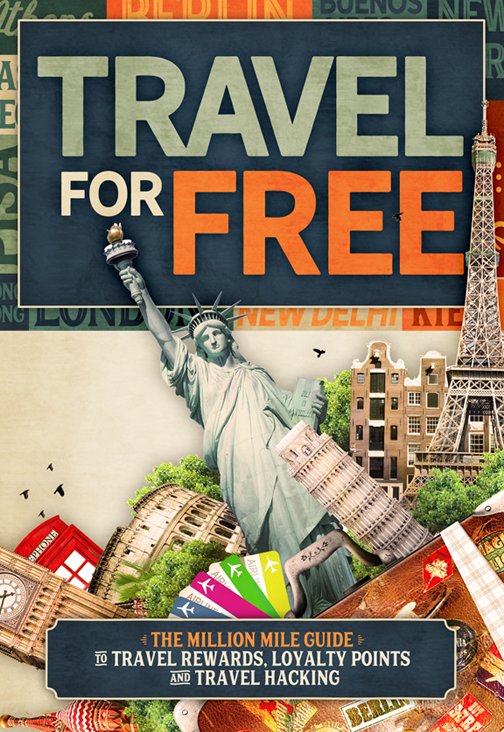 The card comes with a $25 Airline Allowance offers reimbursement for up to $25 per air travel award ticket toward baggage fees or in-flight food and drinks. Not bad, I’ll take it. As a faint draw, the card earns extra bonus points (2x) on office supply spend and for charitable contributions. Other rewards cards offer higher rates of return on office supply spend (such as the Chase Ink Business Cash, Ink or Bold that all earn 5x), but having a card that can take (reasonable) advantage of occasional fee free Visa or Mastercard debit/gift card promotions is useful. This was my 4th credit card application in 24 hours, and 9th in the last 6 months, so I figured I had no chance of being approved. To curb those fears, I decided to apply in branch. I figured that having someone at my local branch submit my business application might have a higher chance at being approved than if I was to do so take the plunge online. The teller that helped me process the application really struggled. I’m guessing that he had never done a business credit card application before, and it took roughly 20 minutes. The process was odd in that he was kind of stressed out about the whole process, and since I figured that I would get rejected straight away, I wasn’t very concerned at all. To my surprise and delight after he submitted the application, an approval with a high credit limit was granted. I don’t know if an approval would have happened if I applied online, but I do think the branch app paid off. 4. Mystery Card – I was also approved for another credit card which I won’t mention here, as there’s concern it could raise some banking eyebrows and potentially kill off an existing play. I’ll just refer to it as a ‘mystery card’, which isn’t in the mainstream card lineup. But 4 new apps in 24 hours and 4 approvals was something I didn’t think would be possible. It was definitely a worthwhile 20 minutes! In June (2018) I froze my Experian credit report. At that time and during a manufactured spend (MS) run, a Walmart employee lost the old paper form (for larger money order transactions) with my name, address, social security number, and more on it. I was kind of freaked out, as that night the store’s MoneycCenter was busy, and the paper could have been taken by anyone for nefarious reasons. I proactively subscribed to a service to put a 30-day watch on my credit bureau report in case some bad people decided to do bad things. Fortunately nothing negative ever came from the lost form, but the vast majority of my credit card applications since then have involved either mentions of that fraud warning on my account, or I’ve had to call into various bank’s reconsideration departments to verify my information. After 4 successful credit card applications, I almost pulled the trigger on a 5th for the Bank of America (BoA) Virgin Atlantic World Elite Mastercard. It was (and is) offering a 75,000 point sign-up bonus, and I have come to value Virgin Atlantic miles more and more of late. However in the past year, Bank of America doesn’t seem to like me very much, and most of my applications have been dead on arrival. I think that fact combined with my potential fraud alert and the poor BoA reconsideration call options after applying, would certainly doom my chances. I passed on applying. Fortunately, I can get Virgin Atlantic miles in abundance through other means if necessary. Overall my application results were surprising and kind of exciting. Getting new rewards cards, sign-up bonuses that fill my points coffers, and some upside options for earning points and even cash. I also applied and received a new debit card, and also opened a couple of new checking accounts (some of which have bonus money attached to them). This round of credit card applications isn’t going to be my last this year either, as I’ve prepared a short list of cards for my next App-o-rama. The next application round might occur in 91 days, 5 months or more, I’m not sure. I’m still hoping to apply for mostly business cards to limit my (Chase) 5/24 exposure, but if opportunity is there, I feel I have to take it vs. wait. Who knows what Chase will be like 2 years from now. I’m certainly not willing to bet things will be just as they are now. I consider this past week a win.